Russian | Ukrainian | English version x86 and x64 with SP1 integrated. 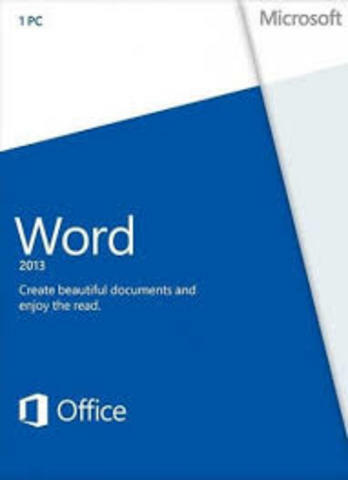 Microsoft Word 2013 - a new version of word processor with advanced features to create documents. Word 2013 provides additional opportunities to work with documents. To insert a video from the Internet to open PDF files and edit their content, and align pictures and diagrams became much easier. The new reading mode is easier and does not distract your attention, and also works great on tablets. In addition, improved collaboration features: added direct links to the web storage and simplified reviewing, in particular fixes and adding notes. With Word 2013, you can create an attractive and exciting documents, and work with additional types of files, such as videos and images from the Internet. You can even open PDF files. Do more: to include videos from the Internet, open PDF files and edit the content of the document, align charts, and images with minimal effort. Intuitive and easy to use with the new reading mode - and it works great on a tablet PC.